Every thing has an expiration date, but this period can be greatly extended if properly care for the thing, and to know certain nuances and subtleties. Now almost every house and apartment has plastic Windows, however, you need to care for them, know not all. 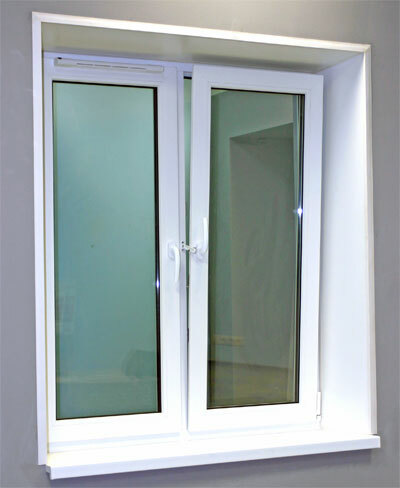 To extend the service life of plastic Windows and keep them presentable appearance will help the simple rules. 1. To clean plastic Windows should use special detergents for glass, plastic or to use for washing of ordinary soap solution. Avoid using aggressive household chemicals. 2. When polishing Windows, use a special microfiber cloth. 3. Do not forget from time to time to clean the drainage holes in the Windows. They are located at the bottom of the frame and visible when opened. 4. At least twice a year to handle with silicone grease the rubber seals that are installed in Windows. This simple procedure will help preserve the elasticity of seals. 5. Caring for the Windows, should be systematically cleaned with mosquito nets, a wet rag, and once a year not to forget to wash the mesh in warm water with addition of soap. 6. In winter, you should wipe the glass Windows, mixing alcohol with glycerol (1:20). This method will allow to avoid the formation of condensation on Windows and prevent dangerous fogging of the Windows. These simple rules will extend the life of your plastic Windows.